Almost all adults have at least a few moles scattered all over their bodies. While common, moles can sometimes develop abnormally and put the person’s life at risk. When should you be suspicious about a mole and what should be done about it? What we commonly refer to as a mole is actually called a nevus. It is a cluster of pigment cells located in the skin. Moles come in the form of small brown or pink spots. Areas of the body that are frequently exposed to the sun often have more moles than those that are concealed. Moreover, this leads many individuals to resort to various treatments for brown spots (melasma). When do moles become worrisome? Benign moles are generally symmetric in shape. They can also be recognized by their uniformity, i.e. they have a single colour and are evenly distributed. They usually have smooth edges that give them a round appearance with a diameter of less than six millimetres. If this is not the case, the problem could be melanoma. Therefore, if a mole does not have these features, it is time to be worried. Melanomas are very similar to nevi. However, they are a form of skin cancer. This type of cancer is frightening because it can lead to metastases. Unlike moles, as melanoma takes on a very abnormal form as it evolves. How do you get rid of a mole that causes concern? It is very important to check your moles regularly, especially if you have a large number of moles or if you have freckles. Most importantly, you should consult a dermatologist or attending physician if you have a family history of abnormal moles or skin cancer. Most nevi do not pose a health risk. They therefore do not need to be removed. 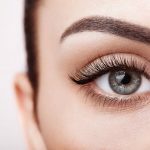 However, if you want to reduce the appearance of a mole, you only need to visit a medical-aesthetic clinic, where several effective non-invasive treatments are available. These include Fraxel Dual laser treatment, which combines the use of two different lasers to remove pigment spots. This treatment stimulates collagen production and the replacement of damaged skin surfaces. You should pay close attention to your moles and frequently perform self-checks to determine any changes or appearance of nevi, even if they are not present. Univers NuFace medical-aesthetic clinic offers several effective treatments to reduce the appearance of troublesome moles that are not harmful to your health. For more information on this subject or to schedule a free consultation, contact Univers NuFace.